“Echoes of the Holocaust” by Rabbi Dr. Bernhard Rosenberg is a riveting collection of real stories and memoirs. It is a MUST READ by anyone, especially by our youth. These real stories depict real people, families, friends and the tragic reality they faced during the deluge of Nazism and WWII -- loss of innocence and peace shattered by the Nazi machine. The stories are infused with aspirations, defiance, will to live, survival, search for survivors and occasional reconnections. The uncanny tenacity and perseverance, not without a struggle, to move on with their lives and build/re-build their family lives. The stories are written simplistically, but very captivating with very powerful imagery and episodes that capture each moment effectively. An atmosphere of hope surrounds many events. No history book can tell a story such as this one. 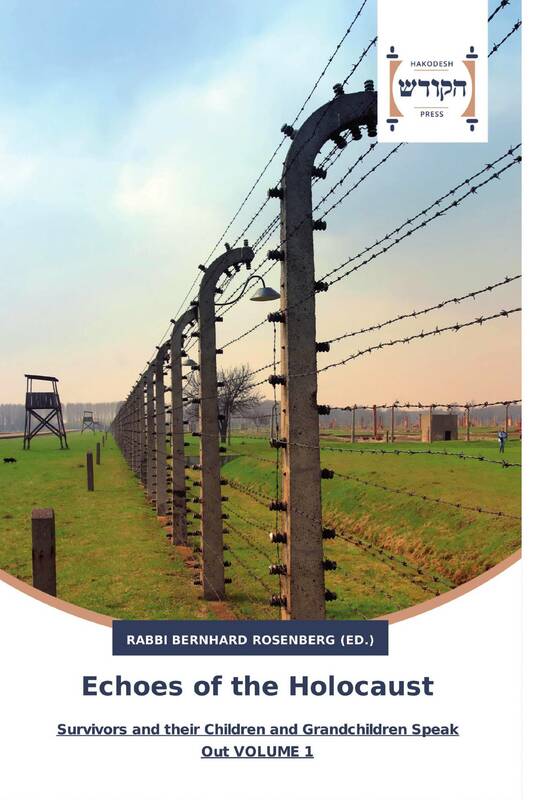 To capture the meaning and depth of the Holocaust, one must read each and every story Rabbi Rosenberg collected.